With Readly you can read Vegan Food & Living Yearbook and thousands of other magazines on your tablet and smartphone. Get access to all with just one subscription. New releases and back issues – all included. 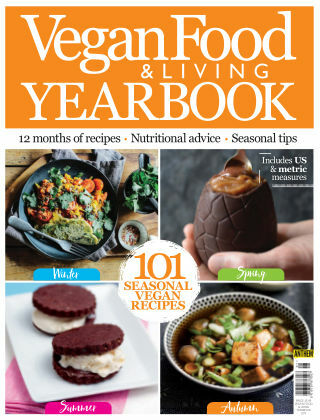 The 2019 Vegan Food & Living Yearbook is your ultimate vegan cooking companion. Featuring 101 delicious seasonal recipes divided into 12 months, you will be inspired to create new breakfast, lunch, dinner and sweet treat options using the freshest ingredients. The issue also includes features on 31 days of Veganuary, dietary deficiencies, how to keep hydrated, foods that calm, top flu busting tips and how to make the most of your first Christmas as a vegan.